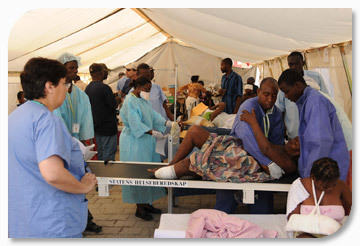 One of the health sector’s fundamental tasks is to ensure the continuity of health services delivery to the population affected by a disaster. Even before an emergency occurs, the network of health care facilities should be prepared for emergencies stemming from different hazards, both natural and anthropogenic. Consequently, health care facilities should have emergency preparedness and response plans in place, their staff should be properly trained to implement the plans, and the necessary resources should be available. At the same time, it is essential that the health authorities rapidly evaluate the structural, nonstructural, and functional safety of health facilities. The definition of a ‘safe’ hospital is whose services remain accessible and functioning at maximum capacity and in the same infrastructure, during and immediately following the impact of a natural hazard. Where a health facility and/or the health network is unable to provide services at pre-disaster levels, plans must be in place to restore these functions as rapidly as possible.